It is the same PIN code you use for calling from landline or phonebooth. You have recieved your PIN by SMS message when you registered, or it is written on your calling card. If you have forgotten your PIN, call free on 539 085 860 let ring once and hangup. We send you a text message with your PIN agian. call 539 085 860 from your mobile phone and wait for SMS. Please register, login and in menu Payments top up your balance. Use menu item lines to allocate phone number(s). Click Support and "Odorik SIM card order" and specify your postal address and number of SIM cards you want. One SIM card is 80 CZK and postage is 20 CZK to Czech Rep. 40 CZK to Europe and 50 CZK elsewhere. Your balance will be used for this order. If you are in Prague or Brno you can get a registration and SIM card at our office. Odorik MVNO is using T-mobile network. VoIP calls to Czech Rep.
Prices per min.,19% VAT incl. You can call easily using our credit and prices via Skype too, from any computer or from better mobile phones. If you are not allowed to run programs or Skype in the computer from which you want to call, you can call directly from our web site using Java phone. You can also use any other program or device that supports standard SIP for your calls. Some of the better mobile phones Nokia are supporting SIP at basic equipment, use instructions here. Choose hardware for making phonecalls via Internet. You can choose a desktop or wireless VoIP phone, or you can even use your old land line phone with a VoIP adapter. The lowest VoIP prices are available, Odorik.cz can serve you as a local PBX. You can set pinless dialing if you want from a list of numbers. Login to your account and go to payments menu to see all the options for your account. By international wire transfer in EUR currency. The minimum payment is 10 EUR. State your registration details inside the payment note, or contact us by email. In order to avoid the usage of stolen credit card numbers, we check the mobile phone number of the person attempting to make a credit card payment by sending text message with a code. By default only Czech mobile phone numbers are allowed. Please send us your current mobile phone number (any country) using contact form, so we can add it to the white list manually. After we add your mobile phone number to a white list, you can make credit card payments without any restrictions. We have more bank accounts in the Czech Republic, to allow instat balance top up. Your balance will be increased in 10 minutes. 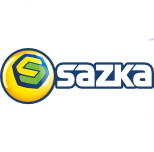 You can generate and print your bar codes for SAZKA and post office payment when you log in under payments menu. Calls between any two telephones all around the world. You can connect any two phone numbers just buy sending SMS message or by calling a pre-set trigger numbers. You can set our trigger numbers on the web or by SMS messages. No charge for callbacks or access numbers. Via ordinary telephone or a special software. SMS can be sent to any cellphone in the world from a web interface. You can deposit cash at our Office in Prague or Brno, pay at the post office. Or at any of the 4400 SAZKA terminal around the country. With have tree different bank account for your convenience, we also have bank account in Slovakia. You can send some of your balance to your friends by a text message or on the web. A public phone number for incoming calls. A possibility to redirect calls or ringing on more phones. The price is valid when calling any other Odorik phone number. VoIP or mobile. The price is valid when calling from Odorik SIM to any other mobile and land line network in Czech Rep. This is VoIP price when calling via Internet using the same number. This price is valid when using callback to connect two different mobile phone in Czech Rep.
For all other calls the price is calculated as the VoIP price + 2 CZK. See our rates. Valid for text messages inside the Odorik MVNO network. Valid for text messages to any other mobile number in Czech Rep. Valid for text messages to any other phone number then Czech Rep. mobile. To be protected from the possibility of spending large data volumes during short time period, the default monthly data limit is set to 100 MB. This can be changed to 50 or 200 MB.. If you need speed, choose a data package. If your spending for the line with active SIM cards is less then 100 CZK during the last 30 days, you will be charged 0,70 CZK fee each day for having an active SIM card. This way we can keep lower prices for our long term customers. The deposit for a mobile phone number is 50 CZK. This deposit will be returned if you ask and you can spend this amount using VoIP services. Your mobile phone number will never expire. When you use all your data package, the speed will be reduced to 16-20 Kbit/s, no additional charge. Each data package is valid only till the end of current month. Not 30 days from the day of activation. For your convenience, a text message with your calling account login information will be sent to this number.